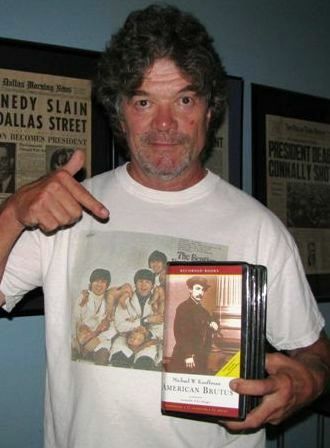 Randal Berry, Lincoln assassination expert, researcher, webmaster and now author, points to an audio book version of Mike Kauffman's American Brutus. I’d like to introduce you to Randal Berry. He is not only a friend of mine but also an extremely knowledgable man on the subject of the Lincoln Assassination. On February 03, 2011, I recorded a great interview with Randal. In it we discuss his “Lincoln-Assassination” website and his first published booklet. 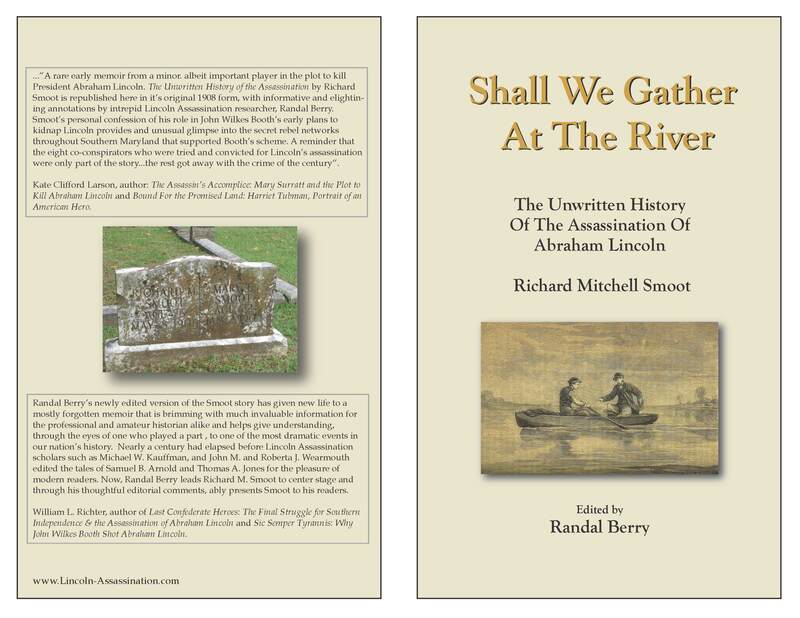 The booklet called “Shall We Gather At The River” is an edited and annotated work originally written by Richard M. Smoot, a character little known to the general public, but who was a willing participant in the Lincoln assassination story. In part one of the interview Randal and I talk about his website www.lincoln-assassination.com. Many people who are fascinated by the Lincoln assassination do not realize how truly vast the subject is. There are hundreds of characters involved, numerous locations referenced, the North, the South, the Union, the Confederacy, plots, schemes, life and death, heroes and villains, scapegoats and turncoats. To educate yourself in this subject could literally take years. Wouldn’t it be great if you could go to a place where many of the seasoned experts on the subject visited often and share their years of experience and research! Well, Randal Berry has created such a place. It is his website at www.lincoln-assassination.com. Authors, researchers, experts, students and just everyday people interested in learning more about the subject, regularly visit here and exchange information. Articles, book reviews, references and other great features are all there. However, it is the Discussion Board which many people favor. It is a wonderful part of Randal’s site where you can communicate one-on-one with top Lincoln assassination experts. For the newcomer, it may seem a little intimidating, but rest assured, these experts are excited to share their knowledge with you and help educate you in the details beyond the ‘big picture’. In part two, we talk about Randal’s Richard Smoot booklet, “Shall We Gather At The River”. Smoot was a Confederate sympathizer who sold his boat to members of John Wilkes Booth’s conspiracy team when they planned to kidnap President Lincoln in early 1865. The boat would have been used to transport President Lincoln across the Potomac River into Virginia, in one of the first legs of a journey to Richmond, the capital of the Confederacy. Their plan was to hold Lincoln hostage and exchange him for freeing imprisoned Confederate soldiers held in Federal prisons. The booklet will be available for purchase on February 17, 2011 from two locations: Price is $16.50 + $3.00 shipping/handling from either of the following two locations. Purchases may be made by mail or phone. Send check or money order payable to “Surratt House Gift Shop” to the SURRATT HOUSE MUSEUM, 9118 Brandywine Road, Clinton MD 20735. Phone orders with VISA or MasterCard may be made by calling (301) 868-1121. Maryland residents must add 6% sales tax. Postage is $3 for the first book ordered and $1 for each additional book in the same order unless otherwise specified in the Mail Order List. All proceeds benefit the museum. I hope you enjoy our chat. 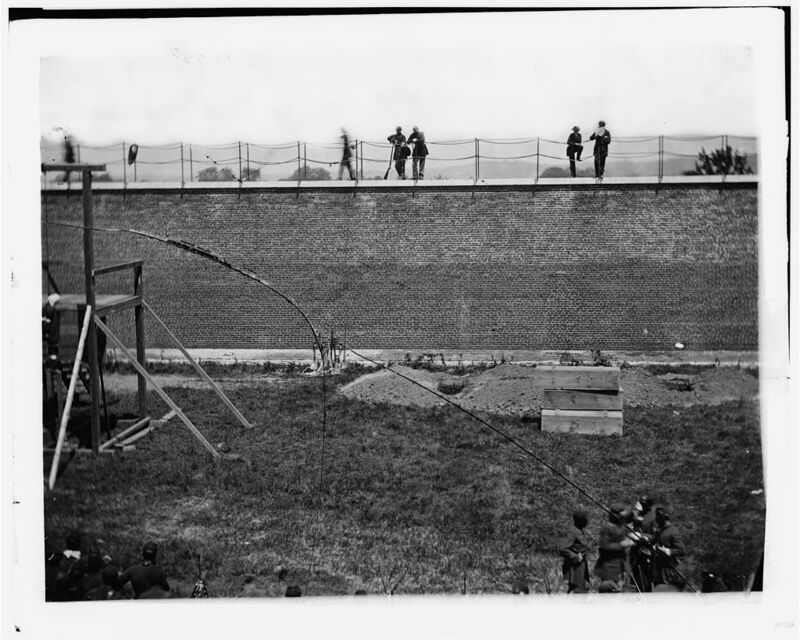 I encourage you to visit www.lincoln-assassination.com to learn more about the Lincoln assassination from the ‘best of the best’.